Something us Bookworm's deal with is what I call 'shelf-loathing'. Shelf-loathing is when you have a book sitting on your shelf for a long time that when you finally get to reading it, you hate yourself a little bit for waiting so long to read it, that, is shelf-loathing. I have some major shelf-loathing going on right now with Dreamland Burning I cannot believe I've had this book living on my shelf since January and I just got around to reading it now. My friends, this novel is one-in-a-million. Every so often we stumble across a rare gem, and when these moments happen unexpectedly it makes it even sweeter. I was not expecting to be so taken by Dreamland Burning. This novel seared itself right into my heart and soul. The story line is no easy read. 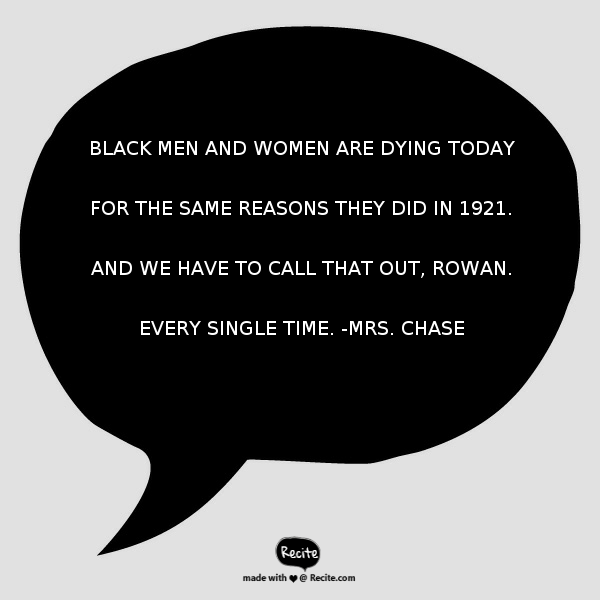 Jennifer Latham tackles the racism that still lurks in 2017 and the Race Riots that took place in 1921. She delivers the story in a dual-perspective and did so flawlessly. Not once do either characters blur. They both stand so strongly on their own. We are first introduced to 17 year old, Rowan. Rowan's family is in the early stages of renovations on their 'back house', during this process, a skeleton is unearthed. Rowan goes on a mission to dig up the truth and get justice for the crime that was committed. Then we are transported back to 1921 and whisked into the life of Will Tillman, a 17 year old boy growing up during the midst of segregation and the uprising of the KKK. Both stories will keep you on the very edge of your seat. Your heart will open up to these characters and during the moments you are not reading, you will be left thinking about them, wondering how their story ends. Jennifer Latham penned an unforgettable coming-of-age story. She not only crafted beautiful characters but she brought forward a piece of history that I had not known about. She left me wanting to learn so much more about this time in history. It's pacing is perfect and will leave you flying through the pages with a burning intensity. 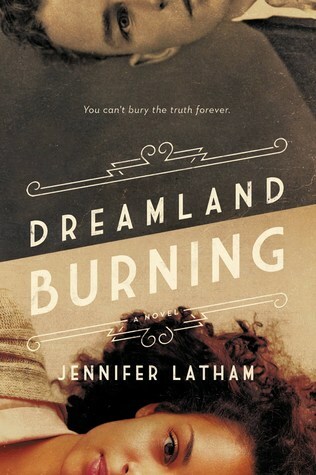 Dreamland Burning will forever stay with me and I cannot wait for Jennifer Latham's future work!